If you have questions, Airport Ambassadors have answers. Their information centers are centrally located in the ticket lobby and in baggage claim. Need to find someone, something or somewhere in the airport? Our friendly Airport Ambassadors will assist you. They know a lot about John Glenn International, our airlines, our tenants and our city. And what they can’t answer, they’ll find an answer for you. Our volunteer Airport Ambassadors can help get you where you’re going – around the airport and around Columbus. The Information Centers are stocked with guides to city attractions, festivals, shopping and local hotels. 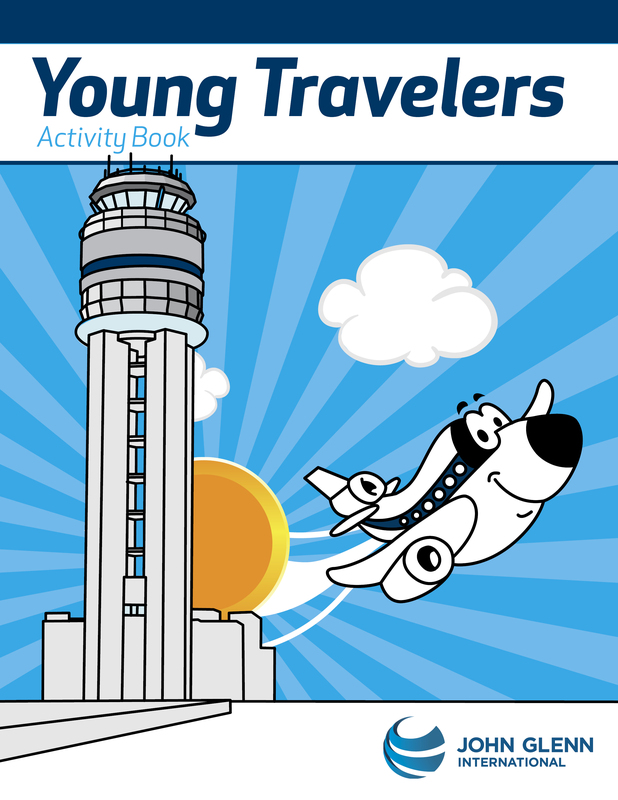 The Airport Ambassadors can provide you with an activity book that will keep your children occupied while waiting to board your aircraft and takeoff to one of the many destinations our airlines serve. Find them at the Information Centers.